The latest WiFi technologies enable you to navigate, monitor, or keep your boat secure, all from your tablet or phone. Since WiFi entered the mix on boats, entertainment and navigation at sea have never been so much fun. It’s easier than ever to connect our navigation, stereo and engine displays with mobile devices. And we all like to be connected 24/7, wherever we are. But before you go and purchase a range of new equipment, ask yourself: do you really need WiFi connected systems, or is this just another way to pour money into your hole in the water? To answer this question, I recently sat down with a local expert Mike Wheeler from Yacht Masters Northwest and selected four areas where all this new technology can be very useful. With WiFi, an iPad is all you need to integrate a second helm station. WiFi allows you to upgrade your second helm without investing in another Multi-Function display (MFD). Use your tablet, instead. This not only eliminates the cost of adding instruments, but also the pain and expense of cutting new holes in fiberglass. You can connect your primary instruments to your iPad or tablet via built-in MFD WiFi, or you can use a WiFi router such as the Simrad GoFree WiFi 1. However, you’ll also want to invest in a robust mounting system for your device, such as the LifeProof, RAM Mount or iRoom, to keep it safely in place. Get real-time boat data when you can’t see your fixed instruments—whether sitting on the rail, packing the spinnaker, or leaning over the chart table in the cabin. Many mobile apps can connect with your instruments using NMEA0183 or 2000, so your mobile device, smart watch or even heads-up display glasses can be utilized to display speed, depth, true and apparent wind angles, and tacking angles. 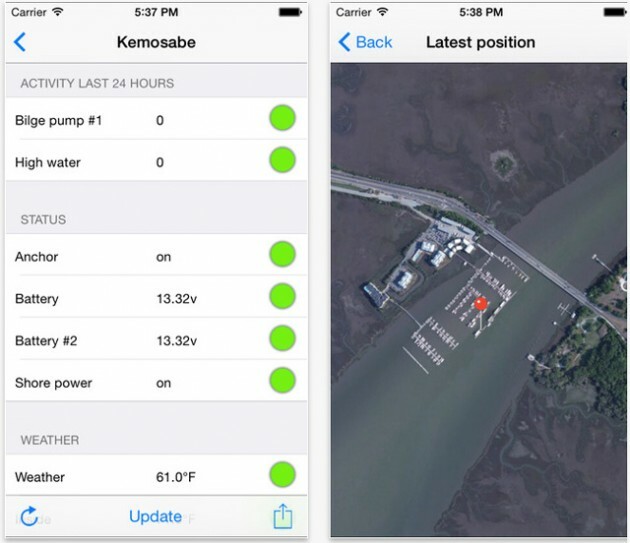 There are a number of mobile apps you can use from iRegatta, Navionics, iNavX, SEAiq, and Navplay with each one having its own strengths and weaknesses. If you have analog or older digital displays you need to WiFi enable your instruments by adding a router such as the DMK box, iMux multimlexer or Simrad GoFree Wifi 1—and expect to spend some time configuring or troubleshooting connection issues. Check the tides, get latest stock market quotes, or listen to Pandora from your tablet without worrying if you have a cellular data connection. Wave Wifi’s new broadband router is product that enables you to connect to multiple networks: WiFi (such as a marina network), cellular, Fleet broadband, or VSAT satellite Internet. You’ll need a broadband router box together with an antenna, though, to get extended range. Monitor your vessel's vital signs in real time, set up alerts for unusual activity, track of how many hours your engines have run since your last scheduled maintenance, or sleep peacefully at home knowing your boat is safe. 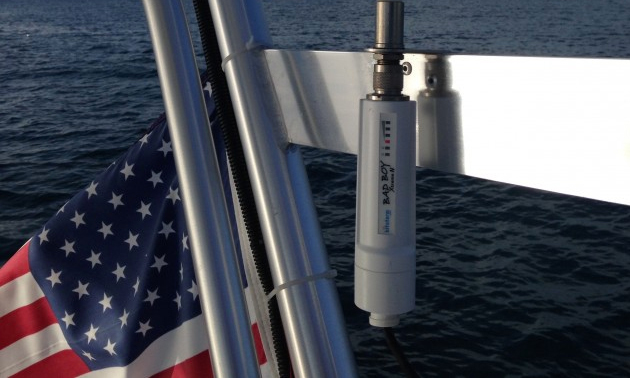 Remote monitoring is a major reason to have WiFi on boats. The screen seen here is from Boatcommand is a new system hitting the market, and for $8.99 you can connect directly to the vessel via smartphone or the company's browser. 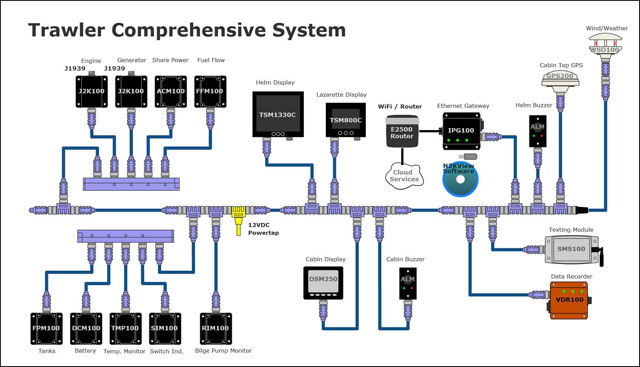 Maretron offers a fully integrated system, monitoring your door sensors, engine, bilge, battery and tanks. Depending on the age of your systems, this can involve adding a set of in-line sensors, a device to convert the J1939 (standard for communicating diagnostics data) to NMEA 2000 to display in your MFD or via N2K view, and also a second device to convert NMEA2000 sentences to TCP/IP, and then a router to broadcast over WiFi or cellular device or via a mobile hotspot. Using their cloud service you can then remotely monitor your boat from home. Lastly, you’ll need a mobile app such as N2Kview, which requires customization. Chetco digital’s SeaGuage is another option if you just want to convert existing analog engine data into high-resolution graphics to display on your tablet. 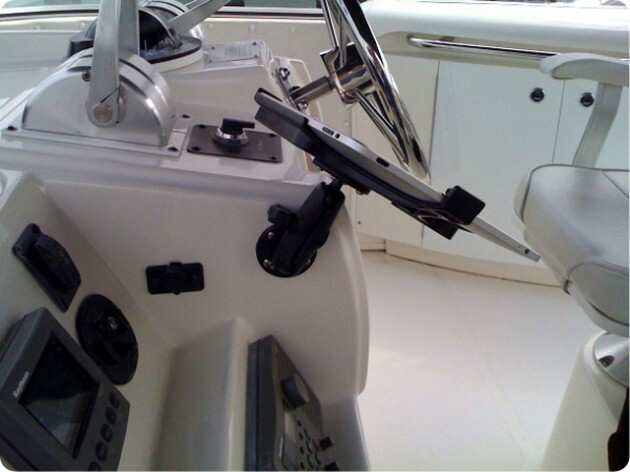 Go a step further and you can get added security of a remote controlled camera setup around your boat. Connect your tablet to a FLIR camera via this system and you can have night vision or infrared views while your boat is at the dock, and also underway. But don’t expect these to be cheap, and with the alphabet soup of product codes and standards to navigate, you might want to get help from an expert. 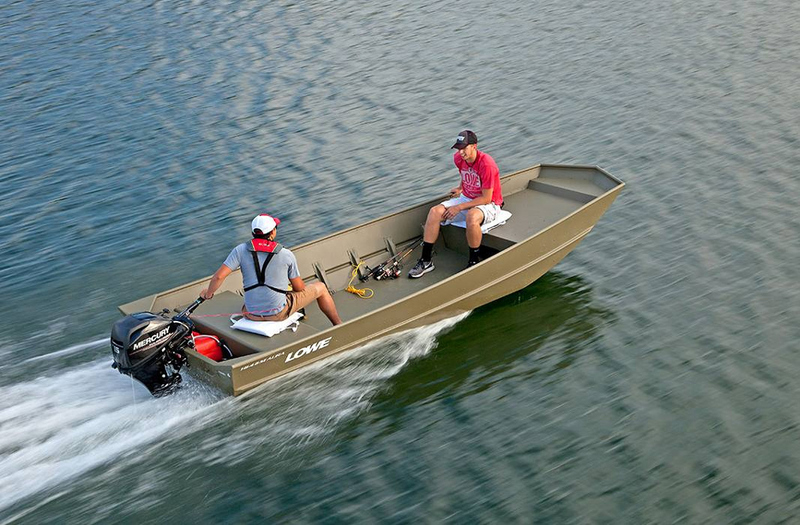 Before you get too excited about your connected boat, there are a few limitations to think about. • Consider the age of existing equipment and sensors. Older analog or SeaTalk versions may not be able to connect to WiFi, so your project may end up requiring more equipment or it might be simpler to buy a new MFD with integrated WiFi. • WiFi interference can be an issue. Just like at home, with many WiFi networks in the marina you can get interference, which can impact performance or drop connections. That’s a good reason not to try steering your boat via iPad. 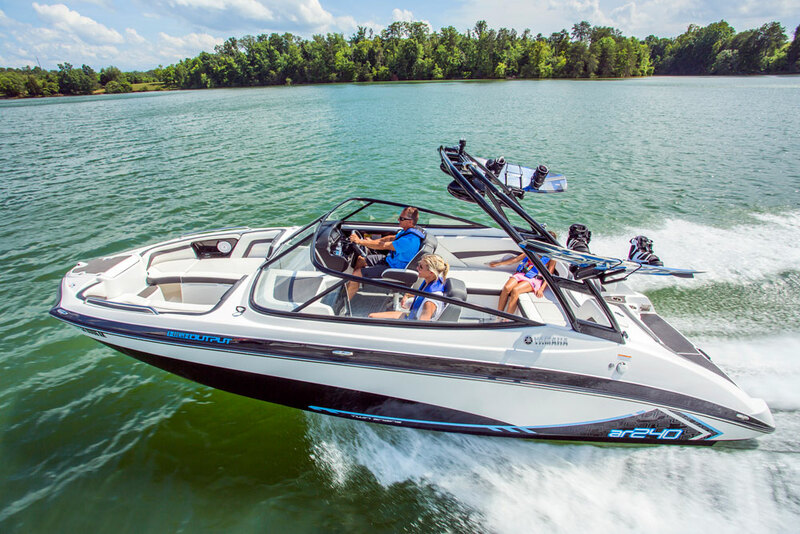 Try a dual-band 5-ghz range, which performs better than the 2.4-ghz range if you have issues, and try to limit the number of networks on your boat to two or less. More than that and you will find the switching back and forth frustrating. • Complexity is another important aspect. 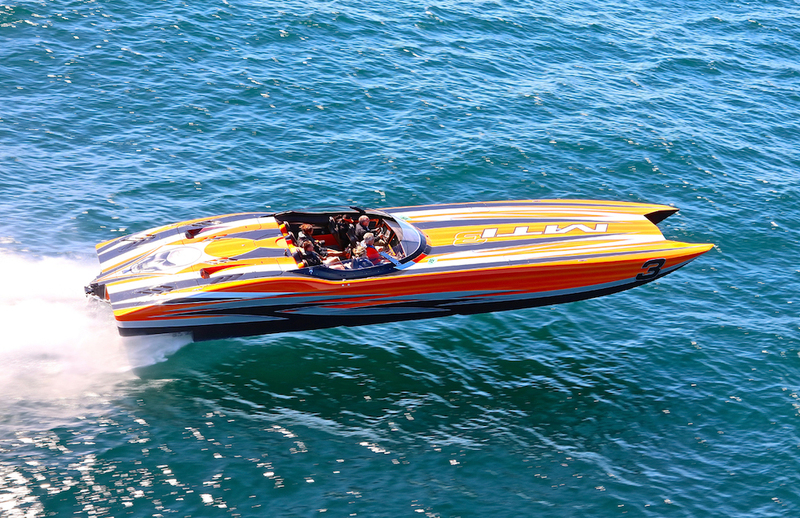 Don’t let networking your electronics reduce your experience on the water. The last thing you want on a summer day is to spend all your free time working on the electronics. And if you only use your boat a few times a year or are not comfortable configuring devices, a simple system is better. A qualified installer can help design, install or support the right system for you. Confused? You're not alone. Installing WiFi on boats is best left to the professionals, in many cases. 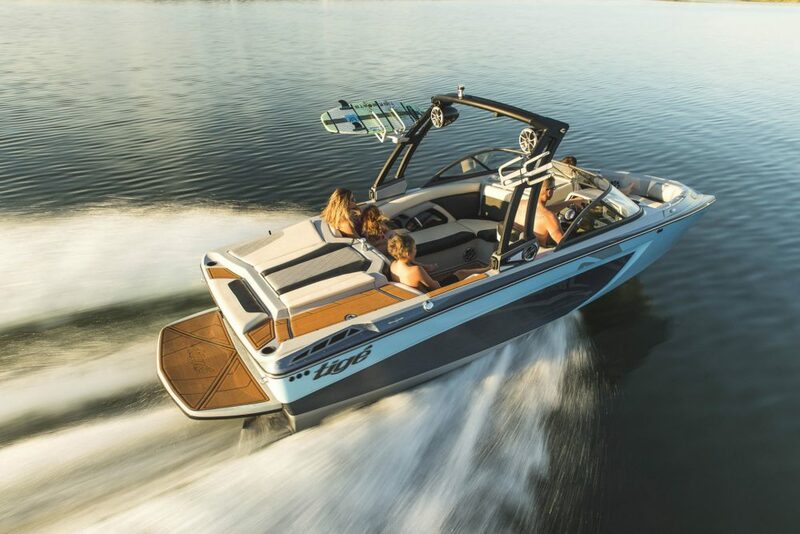 If you're feeling overwhelmed, you could always just scrap the whole idea and buy a new boat that comes fully integrated, like the Tiara 50 with its innovative Glass Cockpit. 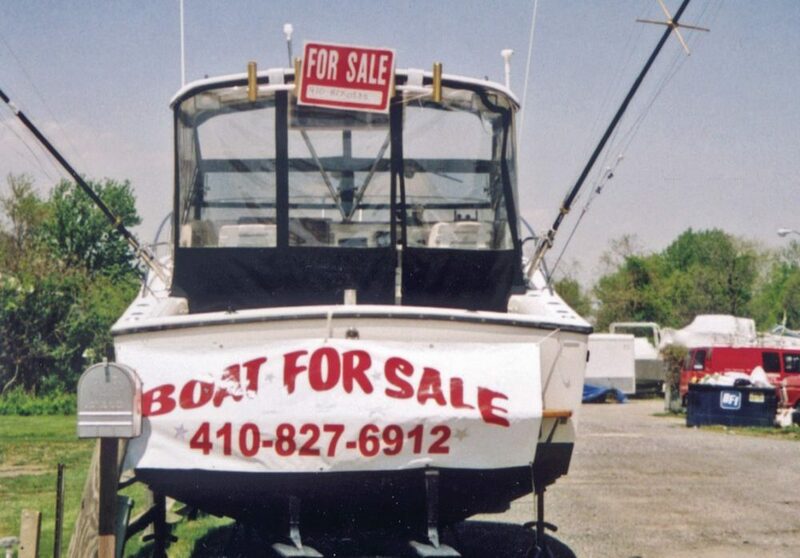 Or check out these listings for boats that have already been tricked out with WiFi.